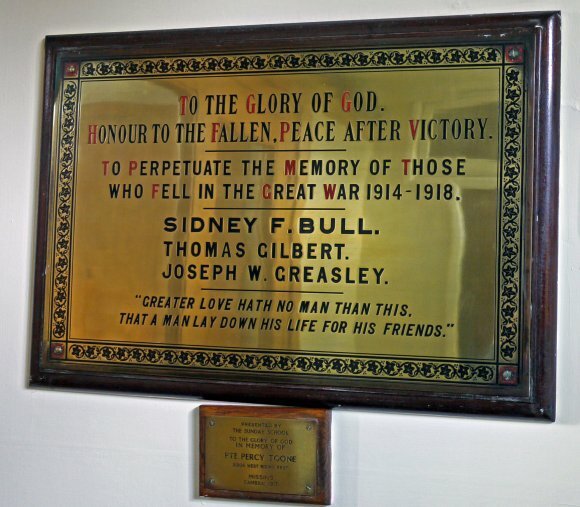 Home » Village History » Rothley War Memorial » GREASLEY J. Killed in action in the France and Flanders Campaign on the 1st July 1916 aged 20 years. 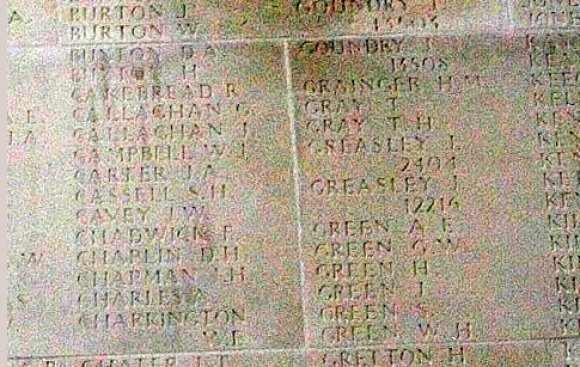 Son of John and Alice Greasley, brother to William and Henry, of Woodgate, Rothley. A Coy-Captain R.WARD-JACKSON and D Coy Captain THOMPSON were in dug outs and cellars in FONQUEVILLERS. Battn HQ's, B and C Coy's, Lewis guns, Bombers were in MIDLAND trench, an assembly trench running north and south 700 yards west of FORQUEVILLERS church and GOMMECOURT was to be attacked. The 46th Division was to advance in south east direction, the 56th Division in north east direction. 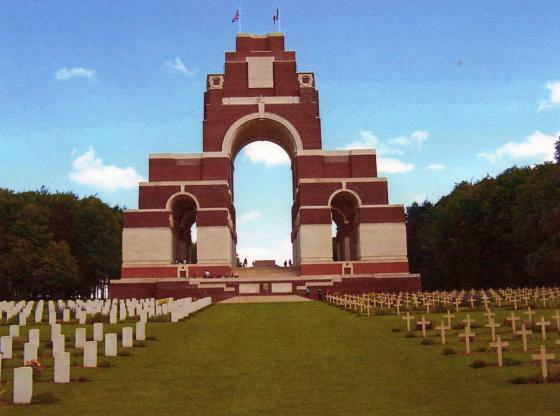 The Park, the point of the salient was to be refused-the intention being to isolate the Park garrison and to attack it from north east and south east at 3.00pm. The position had been shelled by artillery trench mortars for some days previously and smoke barriers had been formed. Much wire however was left-dug outs were not destroyed, and machine gun emplacements were free from damage. The village was flattened out and the trees bared and torn down. The 46th Division was disposed thus:- The NOTTINGHAM AND DERBY BRIGADE on the left-the STAFFORD BRIGADE on the right. The attack was to be in 8 waves. The 5th Battn LEICESTERSHIRE REGT formed a ninth wave behind the STAFFORDS. Of A Coy 2 platoons under 2nd Lts HEPWORTH and SALMON were to dig a communication trench from the SUCRERIE, a ruin in front of our line to the nearest point in the Hun first line. This work was actually started by Captain WARD-JACKSON who superintended until he was severely wounded and carried in by C.S.M.HILL. Artillery had fired all night on enemy's approach lines. At 6.24am the bombardment of front lines began, at 7.30am the infantry advanced. The 56th Division reached the 3rd Hun line and took prisoners, but were driven back. They lost many by the fire from PUISEUX. A smoke barrier had been formed but apparently this blew off at the time the 4th and 5th wave was starting across from the the 46th Division. The Hun machine guns got into action and the attack of the 46th Division was held up at about 8.00am. 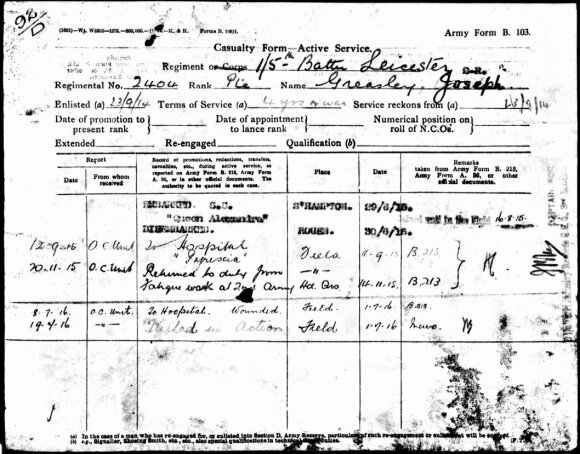 The remainder of A and D Coy's of the 5th Battn LEICESTERSHIRE REGT had been reorganised in carrying parties, ammunition, bombs, ROYAL ENGINEERS material, water. These parties started but were held up by lines in front which could not advance. B and C Coy's with Lewis guns started at 7.30am with the advance, they were to have taken up position in our old front line, but again were held up by waves in front. A second attack was organised for 3.30pm, but it proved impractical. The recent heavy rains had made the trenches sticky, and the task of sorting the units proved impossible. At 3.50pm orders were given for the 5th Battn LEICESTERSHIRE REGT to hold our front line, and for the STAFFORDS to withdraw. 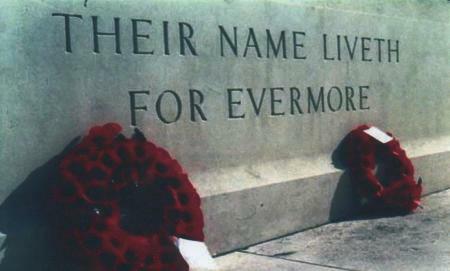 This was done and the 5th Battn LEICESTERSHIRE REGT remained in the trenches that night. Casualties during the battle are given in Part II Battn Orders. 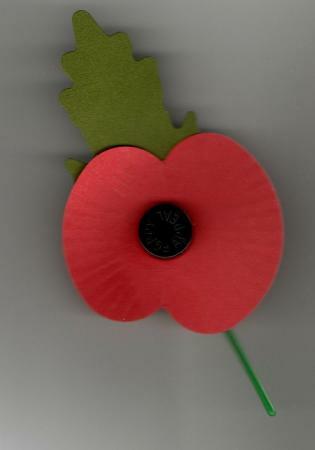 They include 2nd Lt W.K.CALLARD, 1385 C.S.M.F.JOHNSON and 6 other men killed. Captain WARD-JACKSON, 2nd Lt's RUSSELL and T.P.CREED wounded to hospital and 3 officers slightly wounded, returned to duty.